Turn fabric strips into perfect half- and quarter-square triangles! 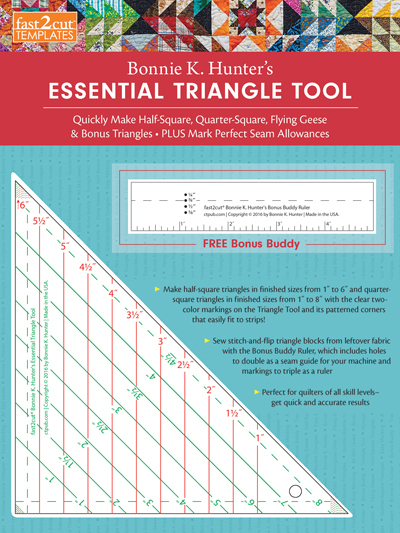 It's a cinch with Bonnie K. Hunter's signature Triangle Tool! Use the printed lines (in 2 colors) to quickly make HSTs and QSTs in different sizes, hourglass units, and flying geese. Sew stitch-and-flip triangle blocks from leftover fabric with the Bonus Buddy Ruler, which does triple duty as a ruler and a seam guide for your machine. Quilters of all skill levels will love getting 2 essential tools in one bundle! 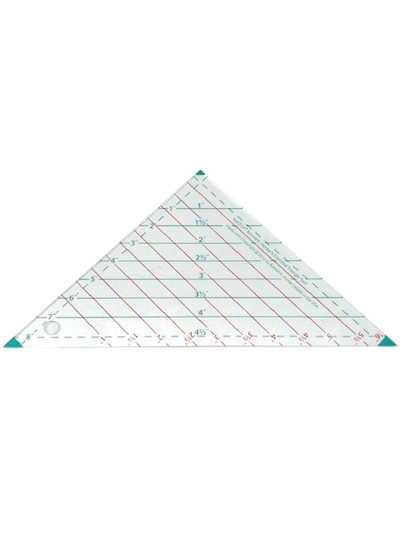 Get quick, accurate results with the Triangle Tool and Bonus Buddy Ruler from Quiltville's Bonnie K. Hunter. 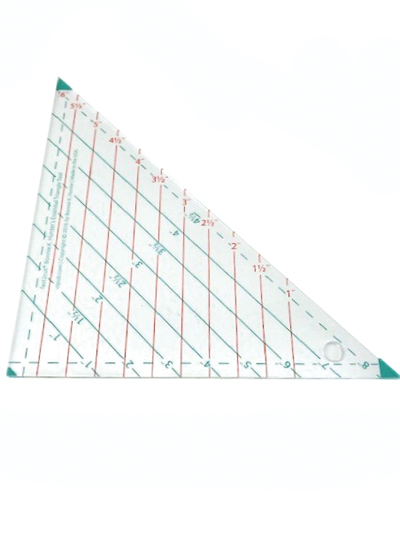 Make perfect half-square and quarter-square triangles from precut strips. 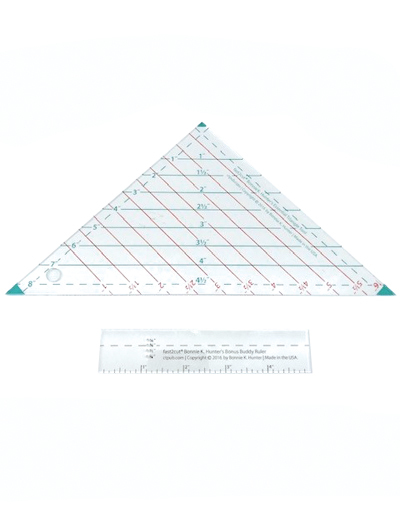 Template features dog-eared corners to fit to strip easily and clear lines in 2 colors for easy marking.